It seems in 2016 that Australians have spent more time discussing politics abroad than at home. We stood stunned by last week’s Brexit result and we are well aware of Donald Trump’s inexorable race to the White House, as much as we cannot comprehend it. Back home, when we are forced to choose between a Prime Minister that has disappointed many, or a generally inoffensive ex-union boss who took voice lessons to communicate better, we might deem ourselves lucky. Lacking in inspiration, sure, but lucky when we compare our antipodean gripes with what is happening north of our borders. 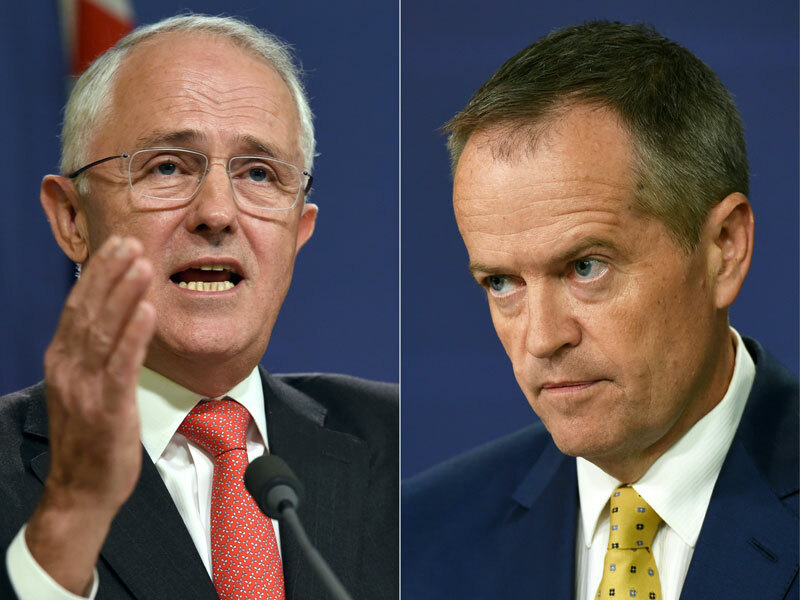 That said, Australians face an important choice this Saturday, and the best outcome will be the re-election of the Turnbull government. Australia has had four prime ministers in five years. The uncertainty spreading around the globe necessitates the need to stay the course and aim for stability. We have not had a prime minister serve a full term since John Howard in 2007. It’s time to end the nation’s restlessness. There has been considerable focus on minor parties during this campaign. Dissatisfaction with Liberal and Labor will no doubt lead many voters into the comforting but politically impotent arms of minor parties such as the Greens, the Nick Xenophon Team, or even Pauline Hanson’s revitalised One Nation. Brexit is a timely reminder of what the protest vote can do. Voters would do well to remember that, in the end, the true contest is between the Coalition and Labor. Turnbull is right when he says there has never been a more exciting time to be Australian. His tone has consistently been one of optimism and hope. In 2016, a focus on innovation, jobs and growth is the right narrative for the country. The government has produced sensible plans to reduce tax for small business. There are over 2 million small businesses that will benefit from the cut, and this will stimulate growth and employment. Labor opposes the cut, but even Paul Keating, a former Labor treasurer and Prime Minister, reduced company tax rates by a larger margin under the same logic and GDP growth rose significantly as a result. Somehow, history is quickly forgotten. Even Julia Gillard herself once said that if you’re against company tax cuts, you’re against growth. Negative gearing has been a key election issue and Turnbull’s plans to not interfere with investment is sensible. Aspirational Australians investing in property should be encouraged to do so and rewarded for having done so. Thousands of workers on wages between $60,000 to $80,000 a year negatively gear their investment properties so they can get ahead and secure a comfortable standard of living for their retirement. Labor seeks to make this harder for investors by limiting negative gearing to only new homes, thereby forcing first home-buyers (usually attracted to new homes or house and land packages) to compete with investors. There is also the possibility that if landlords cannot negatively gear, they will lift the price of rent they demand from tenants, thereby further entrenching renters in a cycle of rent without saving. The government’s plans to address tax avoidance via Superannuation reform are also necessary and reasonable. Defying usual Liberal government stereotypes, the main losers from Superannuation changes will be the top 1 percent of earners who will no longer be able to enjoy untouched tax breaks by pocketing their income in Super funds. The Australian Labor Party has campaigned heavily on negative gearing, Medicare, the economy, and on health and education. It has run one of the most deceitful campaigns in recent memory. There is no kind way to put this: they have simply tried to lie their way back into office. The lies have been rich in audacity and blatant in their attempt at deception. This has been thrashed on peak time television over recent weeks. Despite numerous assurances by the Prime Minister and contrary evidence from the President of the Australian Medical Association, the lie persists. Michael Gannon, who took charge of the high-profile doctors’ organisation last month, said “there is absolutely no evidence at all that the Liberal Party has any desire to privatise Medicare.” This has not stopped Labor from throwing thousands of dollars on misleading ads to the contrary. Labor has already admitted that it will increase the deficit by $17 Billion if elected. They are promising to maintain current spending levels over the long term before the budget somehow returns to surplus in 2021. This was part of their ten year economic plan. Politicians on both sides love ten year economic plans because they look good, sound good, but they actually mean nothing. Treasury can’t even get four year estimates correct, so when a federal leader starts spruiking a rosy economic future in the never-never, it’s time to tune out. “Labor never produced a 10-year plan for hospitals, although there were some long term funding projections for schools. As Mr Abbott said, “there was no $80 billion in any Labor budget to be cut”. This contradicts the claim in his budget papers of $80 billion in savings. The Government did not cut $80 billion from schools and hospitals in this four-year budget period. By trumpeting long term savings, it has left itself open to accusations of funding cuts from Labor. If the main tenets of Labor’s platform for returning to government can be disproven by independent sources then it must logically be concluded that they are not ready to return to office. When Turnbull speaks, he espouses the virtues of growing the economy and rewarding aspirational and innovative Australians. This Saturday, it’s a message Australians should remember when they fill in their ballot papers. Should the Liberal Party win tomorrow it certainly won’t be because of MT but rather because of Labors Union affiliation and the deceit of Bill Shorten.